It has been a while but the latest episode of my podcast is now live. The podcasts will also be available on iTunes, PlayerFM and other podcast catchers within the next 24 hours. This episode is a little different and longer than normal as I welcome my first guest onto the podcast. 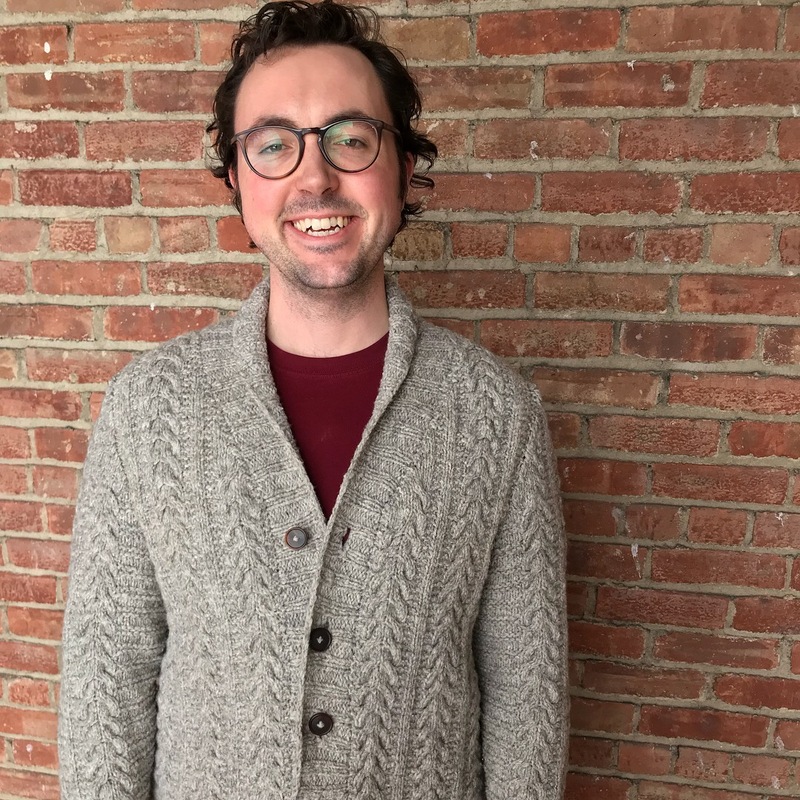 Aidan Owen (also known as Knitting Monk on YouTube and Instagram) is a maker (and a monk as the name suggests). Like me, Aidan is interested in and concerned about environmental, ethical and social justice issues and how these influence and play out in his crafting practice. 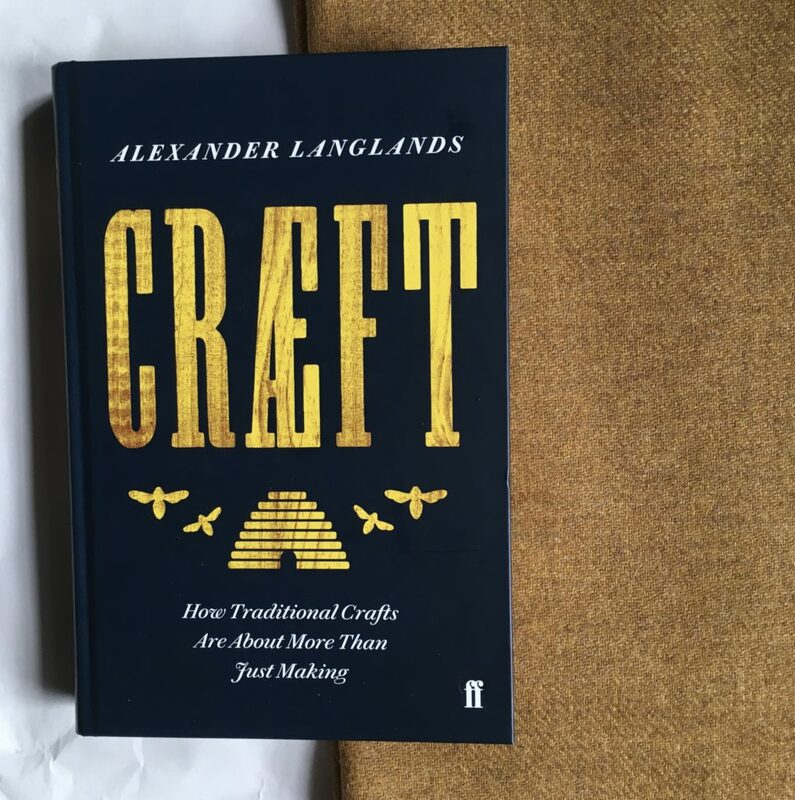 Earlier this year we both read a “Cræft: How Traditional Crafts are About More Than Just Making” by Alexander Langlands (published in the US under the title “Cræft: An Inquiry into the Origins and True Meaning of Traditional Crafts“) and thought the book would be a good starting point for a discussion about the relevance and potential of cræft in our own lives and contemporary Western society. 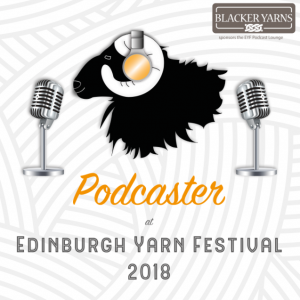 That conversation is available in this episode of my audio podcast and also as Episode 15 on the Knitting Monk’s YouTube channel. We would both loved to hear your thoughts on this exploration of cræft and if you have read the book, what resonated with you and how might it influence your own making (whatever form that making takes)? 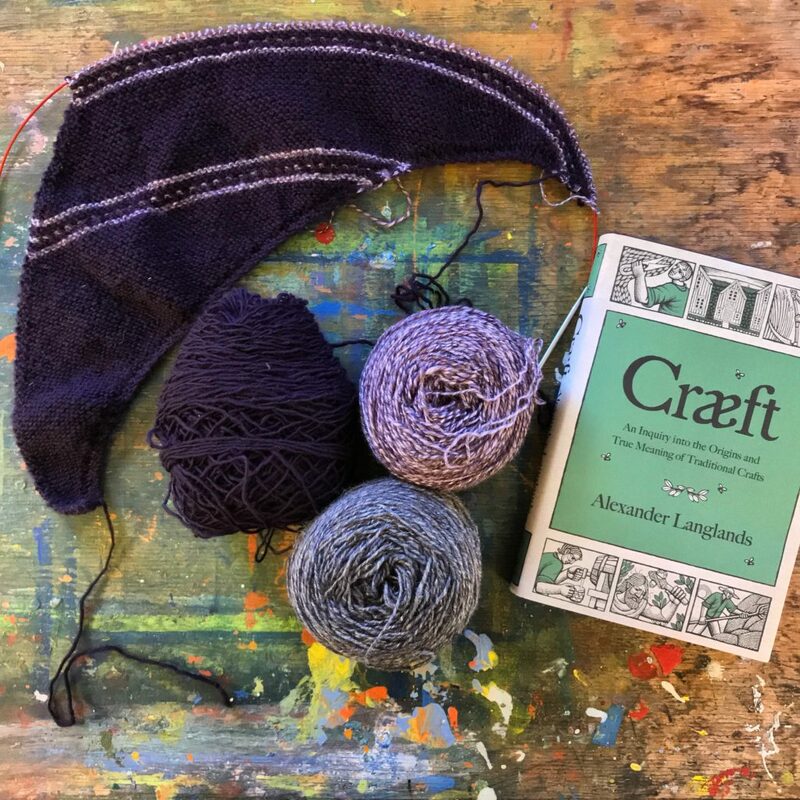 If you would like further thoughts on this book, we have both previously spoken/written about the book separately, in particular in Episode 10 of A Maker’s Pilgrimage with the Knitting Monk and on this blog. A number of other podcasters in the fibre artists have also reviewed or explored this book, e.g. Sara of Yarns at Yinhoo (Episodes 191 and 192) and Nicole of The Gentle Knitter (Episode 22). If you know of any others who have shared thoughts or started a discussion about this book to, please do share details below in the comments section or in the Ravelry group. The feature image was kindly provided by Aidan, the Knitting Monk. Music: As I figure by Kevin MacLeod on FreeMusicArchive and licensed under Creative Commons By Attribution 3.0 License. Thank you so much for this very inspirational conversation and for introducing (to me at least) the Knitting Monk ! I am planning to buy and read the book as soon as possible . I may have told you that when in my middle teens I had bought a book about how to live in an anti consumerism way and how this guide full of recipes and tricks was influent on me. I truly think that consumerism is the (main) key to the ecological crisis we are in now. People seem to always want more of everything and faster. Also people saying they do not have time to make things is irrelevant to me . Making things is a choice and everyone can make that choice . I personally have always prefered having less clothes but good quality ones that I can keep for decades and do not mind that people ask me if I am not bored to always wear the same items. I am not ! Also, I do not quite know how to express it clearly but I think making links you to your inner self, hence the meditative aspect of it ,and this, regardless of any religious practice . On the contrary , buying already made things (clothes for instance) has more to do with a kind of showing off and beeing trendy so, pretty,lovable and so on . . I miss the quality of old St Michael’s clothes – do you remember when M&S still used that as the brand name for their clothes?